Whaleshares The MET Witness Needs Your Support! The MET Witness Needs Your Support! The MET Witness has Arrived! What are MET and its Values? The community MET is a Beyond Bitcoin community founded to support business-related writers, creators and contributors from all around the world on the different Mas-Chains, which include Whaleshares, Smoke Network and Steemit. The MET community is made up of moderators and curators who constantly search for and reward quality business related posts and ideas. The name "MET" is an acronym for Morte et Tributa. Morte et Tributa translates to "Death and Taxes", referring to a famous quotation by one of the founding fathers of the United States - Thomas Jefferson. It states that, "[N]othing in this world is certain, except Death and Taxes". Others, who despise taxes, may also prefer to view this as a play on words hinting at Death to Taxes. As a Beyond Bitcoin community, MET strives to support blockchain in its entirety, not limiting its reach to the confinements of one chain. This said, MET will limit outside funding and will work to maintain all of its infrastructure using its own assets. In the instance that outside funding is needed, it will not be obtained by any third-parties that would/may induce a conflict of interest with MET’s mission. Furthermore, MET intends to refrain from any political chain discussion and focus solely on its mission of promoting a community in which business information is shared and rewarded. As a Whaleshares witness, MET strives to be completely transparent. We believe that as guardians of the chain, witnesses are public servants to those which they serve and, as such, transparency is not simply valued, it is required. @fonsolo holds a Master’s degree in Accountancy with a concentration in Information Management. Prior to pursuing a career in the blockchain ecosystem, @fonsolo worked at a Big Four public accounting firm as an IT Systems Auditor. Founder of Morte et Tributa (MET), a business community within the Beyond Bitcoin vision, @fonsolo is responsible for providing business and financial guidance to Beyond Bitcoin. @thevenine holds a Bachelor’s degree in Computer Information Systems. Prior to pursuing a developmental role in the blockchain ecosystem, @thevenine worked over 30 years as an IT Professional, including 22 years as Director IT with a proven ability to develop and implement information systems strategies that support business and financial objectives. @thevenine is a respected leader, able to build highly motivated teams focused on achieving business revenue goals. @thevenine specializes in system virtualization, system security hardening, and database design/implementation. @sahkan holds a BBA in Management from McMurry University and a MS in Computer Science from NOVA Southeastern University. @sahkan has worked over 23 years as an IT professional and is proficient in system administration of Linux/Unix based servers. Additionally, @sahkan has been a part of the blockchain ecosystem for over 6 years. Of the 6 years spent in the cryptosphere, @sahkan has devoted over 1 year specializing in the Delegated Proof of Stake sector. @jotmax holds a Bachelor’s degree in Biochemistry with a concentration in toxicology. @jotmax worked at a pharmaceutical company before pursuing a career in business and IT. @jotmax is a trained computer hardware engineer and has built a computer sales and repair business for over 4 years. @jotmax is passionate about the blockchain ecosystem and is involved in a few publicity activities. Please note, the server specifications are subject to change at any time. However, before any change is implemented, the @met.witness account will provide a public announcement no less than two weeks in advance. Please note, this allocation is subject to change at any time. However, before any allocation change is implemented, the @met.witness account with provide a public announcement no less than two weeks in advance. MET constantly rewards business related content which encourages writers to create rich and useful content regulary. In order to plug into Whaleshares and create more value, the @met.witness account was created. 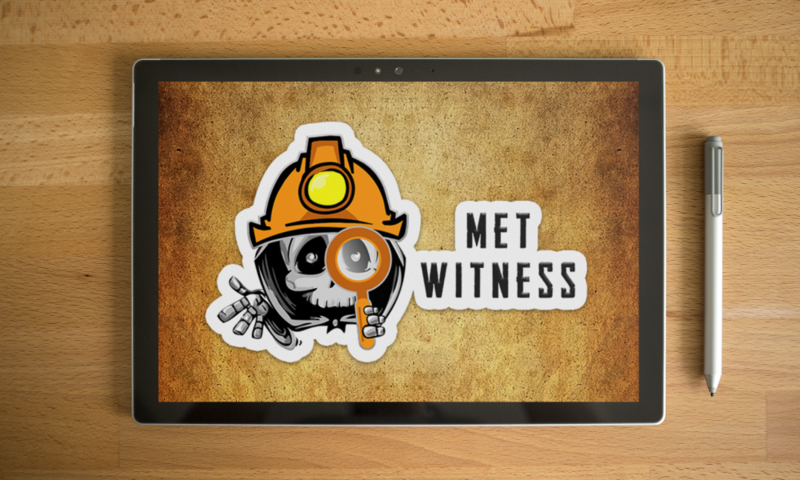 The funds from this witness account will be used to increase the backing of the MET tokens. The increased backing will, ultimately, increase the amount of value distributed among the community. At MET, we are optimistic about Whaleshares and we go extra mile to bring value to the community. Locate @met.witness then select the vote icon and see that it turns blue. You can also choose @met.witness as your proxy, then we will vote for witnesses on your behalf. We believe that each member is a decision maker and a major contributor to Whaleshares. It is possible to add value to the community with your support. MET is focused on supporting valuable content and giving a voice to people who ordinarily would not be opportune. Whaleshares community discussions, contests and events.